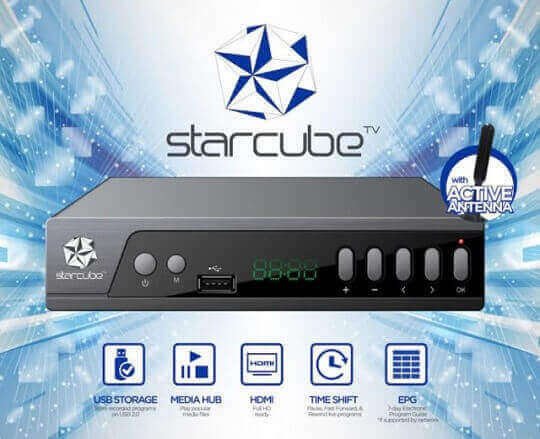 STAR, Inc., the mother company of the local smartphone brand Starmobile, recently launched its newest product that will allow Filipinos to enjoy Television like never before, the Starcube Digital TV Box. The Starcube Digital TV Box offers clearer reception of your favorite free TV channels, as it processes digital signals that are less susceptible to noise and distortion compared to analog signals. The manufacturer even boasts that it is 2x better than other setup boxes available in the market today. This TV Box comes with tons of features and functions, such as the ability to record your favorite TV shows, and the power to pause, fast forward, and even rewind TV programs (time shift). Moreover, it also doubles as a digital media player, just plug a flash drive with photos and videos on its USB port and start viewing them on CRT, LED or LCD monitor. I will be available on the second week of February in the leading appliance and electronic stores in the country for an introductory price of Php1,290 (regular SRP is Php1,490).